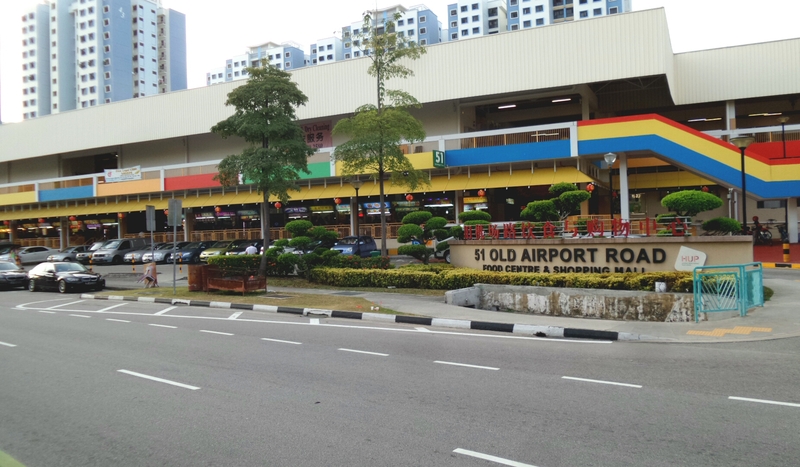 The former name of “Old Airport Road” was originally named as “Old Kallang Airport Road” and later renamed. “Man does not live by breads alone” according to the Bible. As babies, whatever fed to us, we would eat or drink “anything” and “whatever” …..
As we grew up to become adults, we have to feed ourselves. Everyday of our waking hours when we get hungry or thirsty, most normal persons would look for food to decide what to eat, where to go. For religious reasons for the Muslim, not to eat or drink consciously at certain hours for “puasa” during the month of Ramadan, spiritual food for the body and the mind is important. I am not a foodie fanatic to “live to eat”. To me, I need to “eat to live” and I speak only for myself. Food is an individual personal choice because “one man’s meat is another man’s poison”. 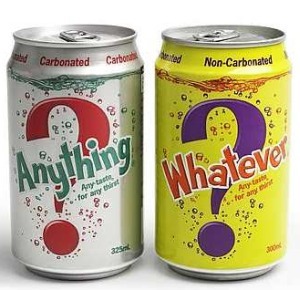 To each an individual’s personal constitution in matter of food choices or preferences. However, while travelling we prefer to be adventurous and have a food tasting experiences to go international. 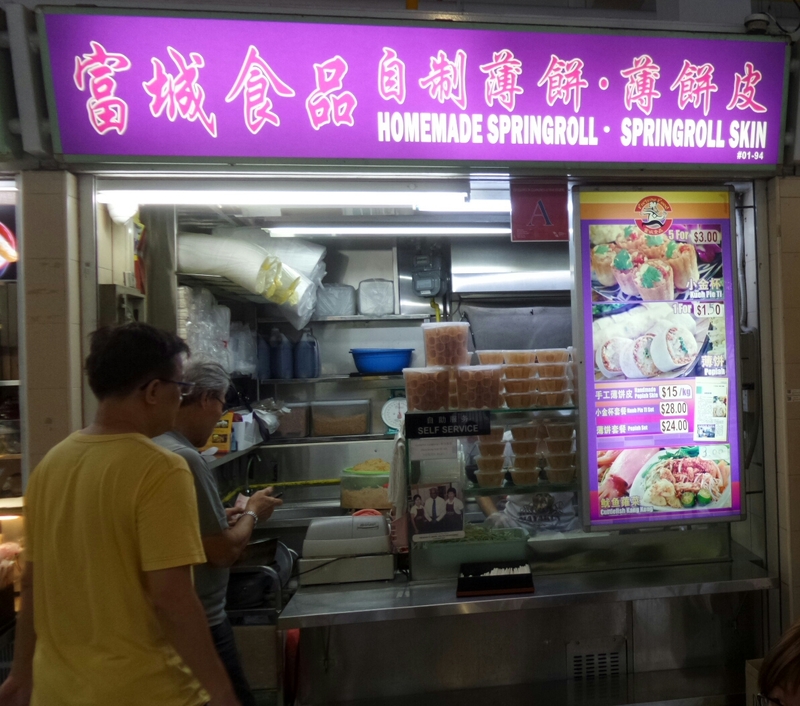 There are special occasions when foreign guests or friends on a sojourn to Singapore are invited for a meal. So, where to go, what to eat? 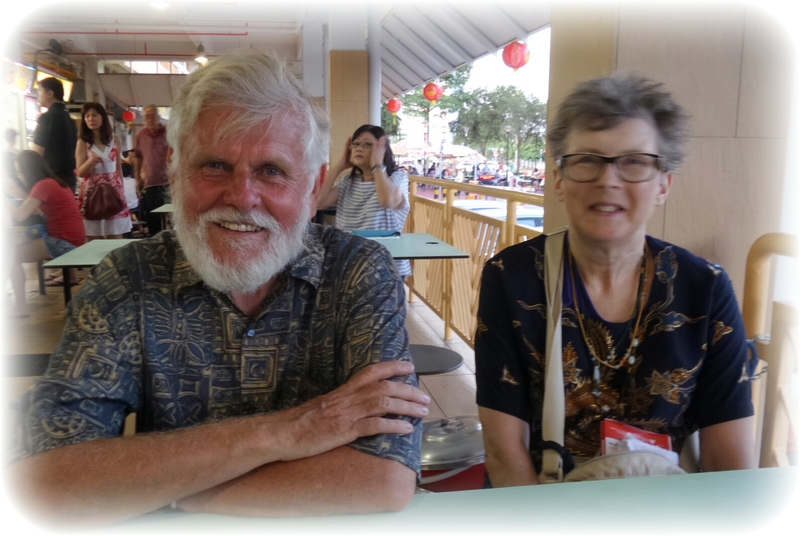 Our Brit Brat John Harper, his wife and Peter Stubbs from UK are in town and FOYer Lam Chun See arranged to invite them to the Old Airport Road Food Centre. They would love to taste our local stuff they have missed for a long time. Chun See, Lina Catcat and I went on a walk to blog the Dakota Crescent Housing Estate which is located in the vicinity of the Old Airport Road. The “old airport” refers to this place here . 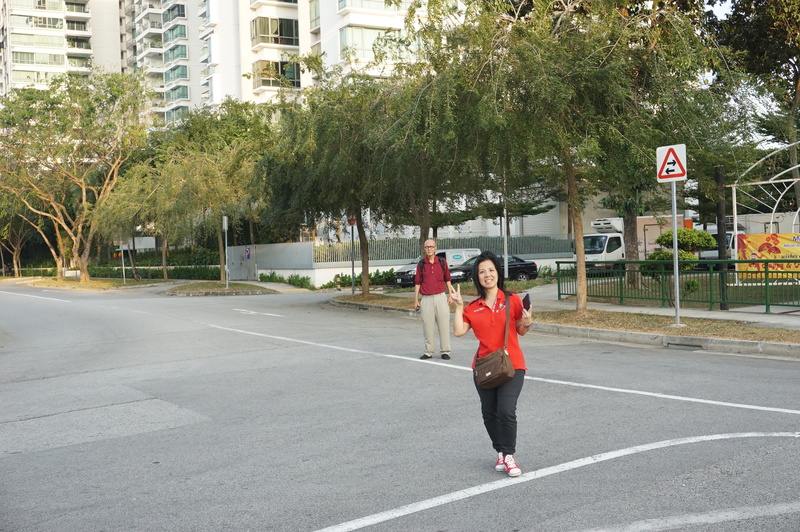 In the above photo, Chun See and Lina Catcat were pointing to the odd street names in the estate. 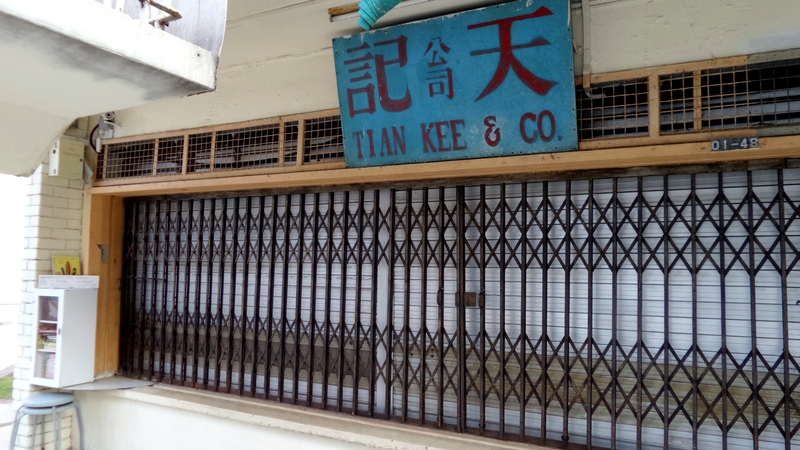 Opposite Blk 14 Old Airport Road was Blk 22, Old Airport Road. 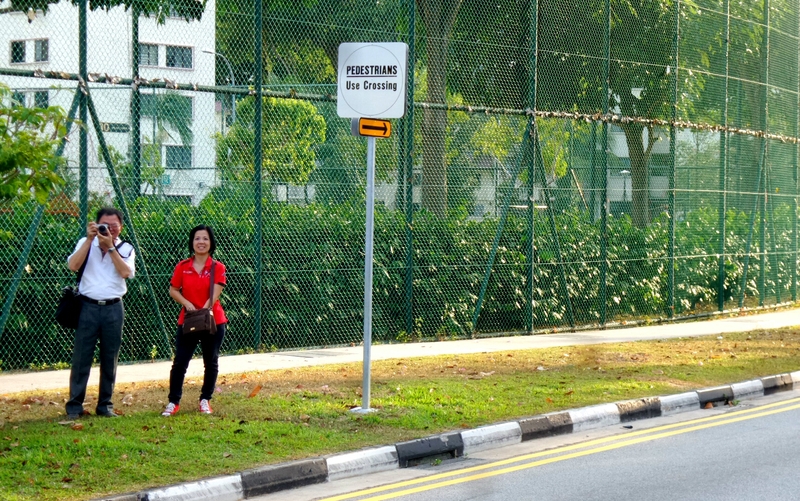 In the background behind the tree was Blk 20, Dakota Crescent. 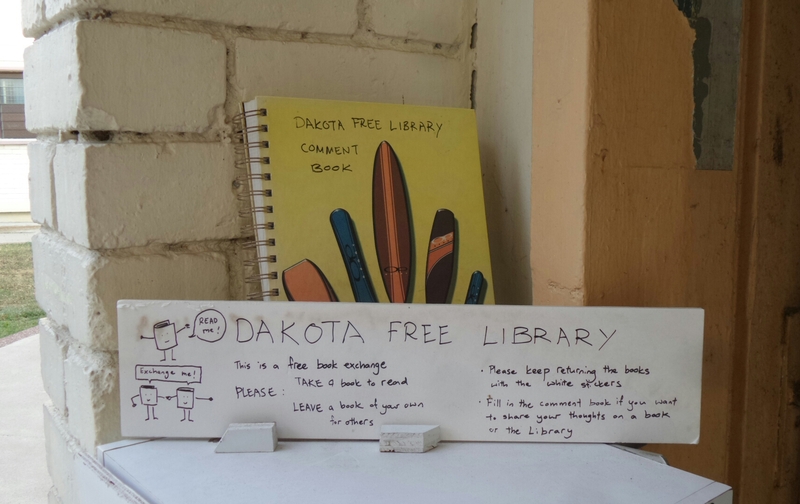 Some kind souls who are book-lovers from somewhere or are residents in the estate created the “Dakota Free Library” as the concept of “mobile library-book exchange kiosk” at the corner of this row of shophouses. What a novel and innovative idea to distribute used books to save lives and trees. Three young lovely ladies who are “nostalgia heritage fans” as like-minded friends to capture precious moments of these historical buildings with memories of a little corner of Singapore to share and remember for everyone. These friendly gals obligingly posed for the photo in front of the “人民中医” (People TCM Healthcare Clinic). 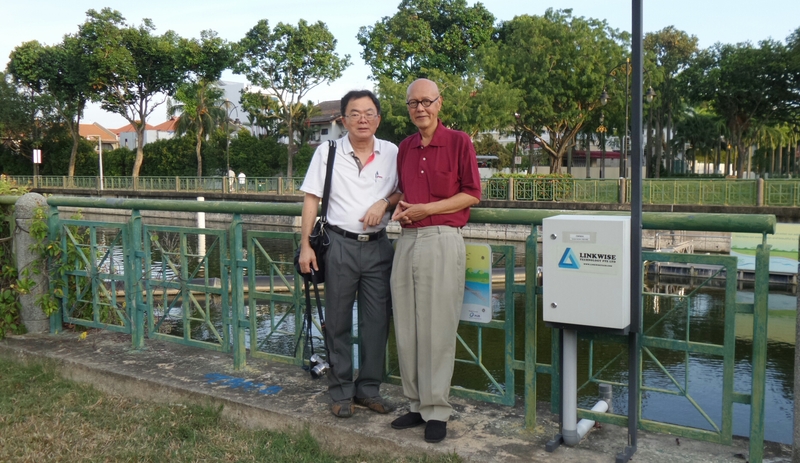 Capture the moments at the bank of the canal with Chun See for posterity. A cheerful Lina Catcat with the “V” sign to show her success of a big scoop of nostalgic photos captured in her camera at the Dakota Crescent estate. 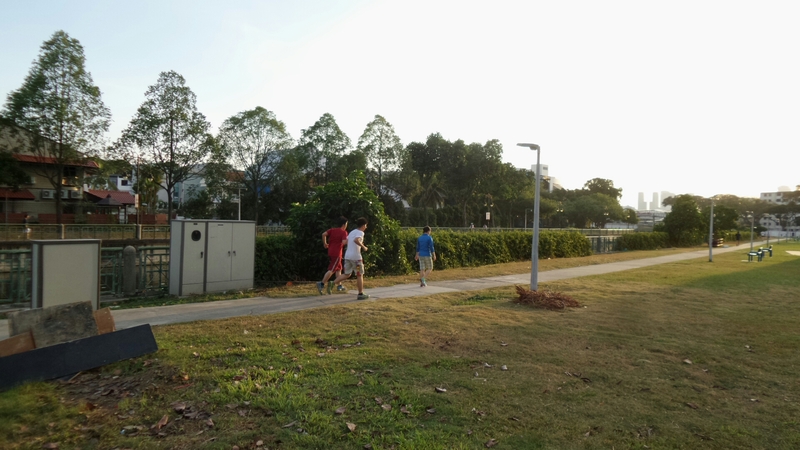 I couldn’t catch up with her because age caught up with me to slow me down …..
Mission accomplished ….. so we were on the way to the Old Airport Road Food Centre across the road to meet our guests for dinner. 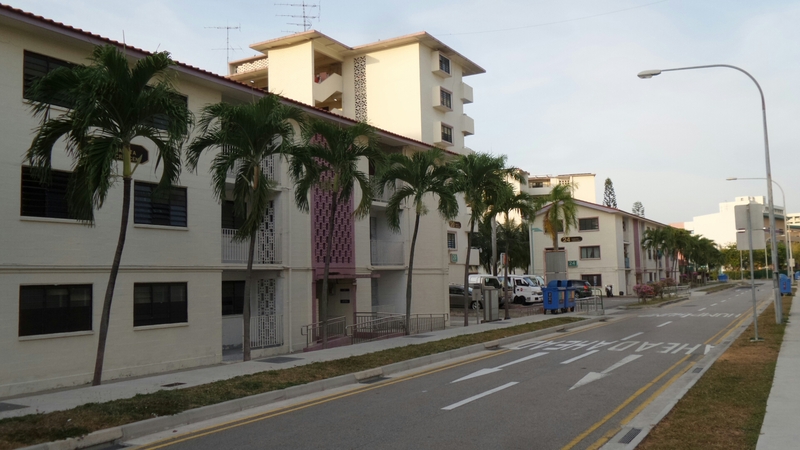 Dakota Crescent’s flats are one of the few living remnants of Singapore’s pre-independence years. 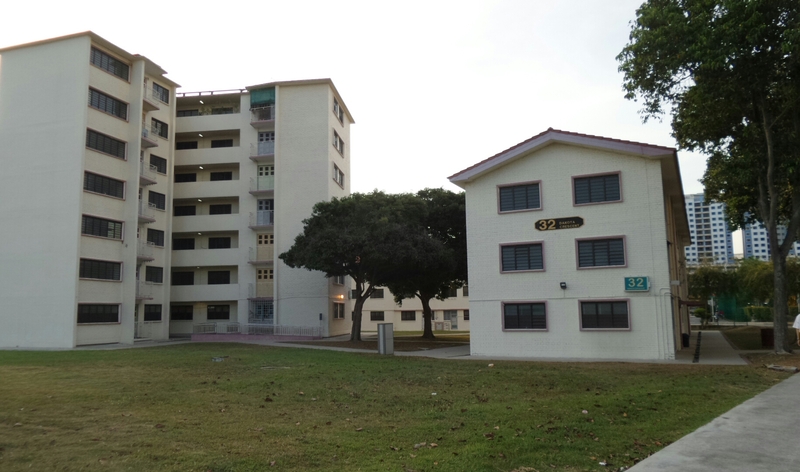 The old housing estate was built by the Singapore Improvement Trust in 1958 and was handed over to the Trust’s successor, the Housing & Development Board in 1960. 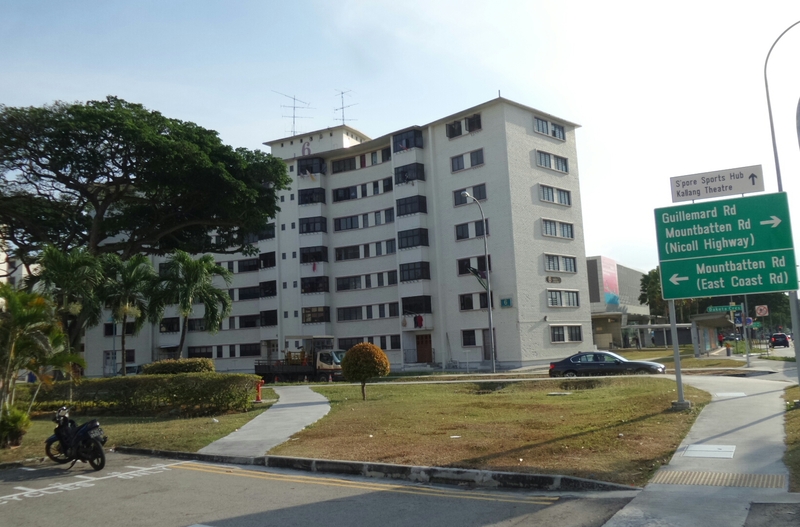 The 17 low-rise brick-clad flats will be by 31 December 2016 to make way for new developments under Mountbatten estate’s renewal plans. 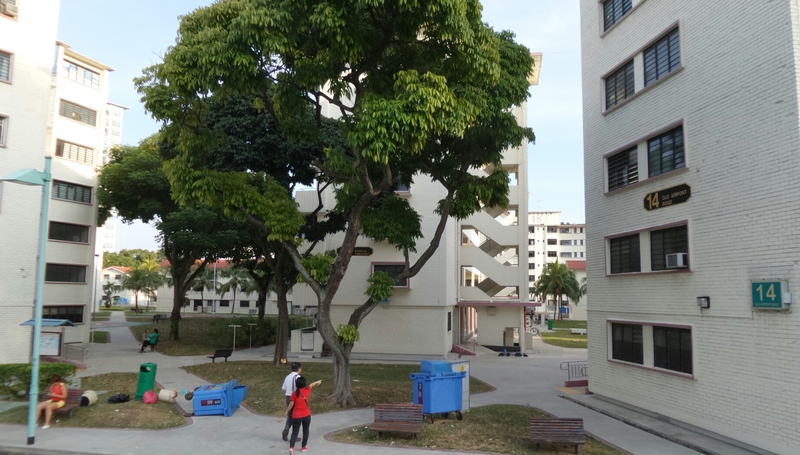 Named after a plane model that landed at Kallang Airport in the past, the flats in the estate are fitted with retro-looking grills and doors of yore. Its old-school dove-shaped playground with mosaic tiles are reminiscent of Singapore in the 1950s. 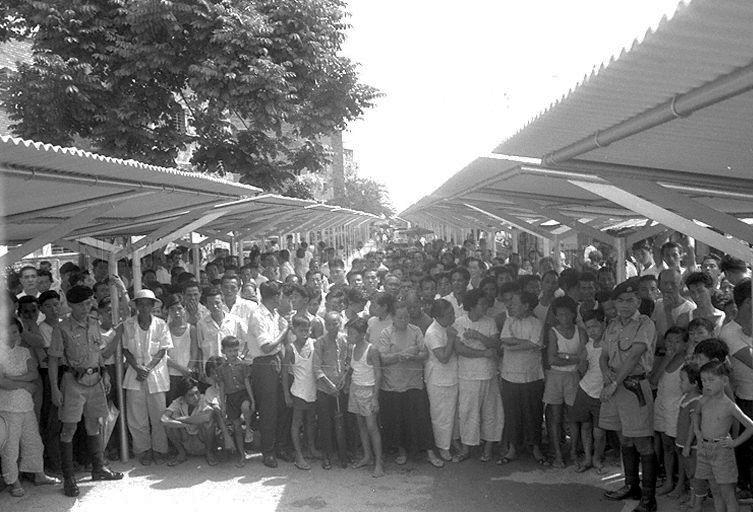 There was inadequate housing for Singapore’s growing population in the 1950s. An increasing number of people were living in slum-like conditions with poor sanitation. 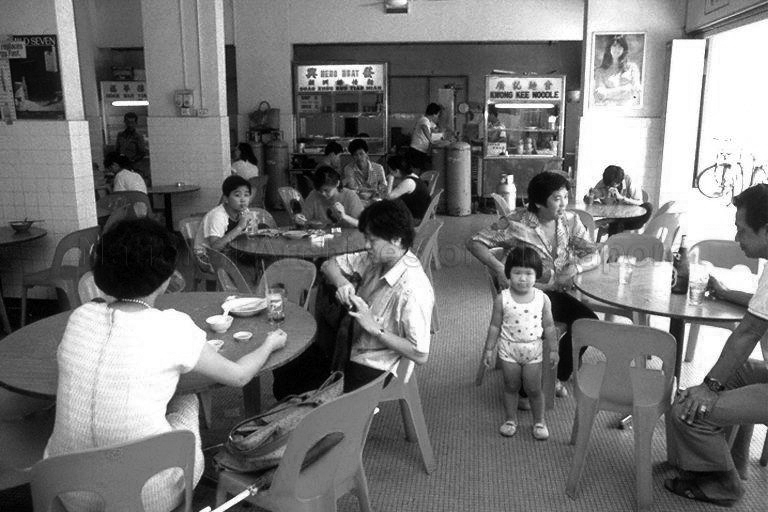 As Singapore’s central area became increasingly crowded, the colonial government planned to develop a new public housing estate in the Kallang Airport area. 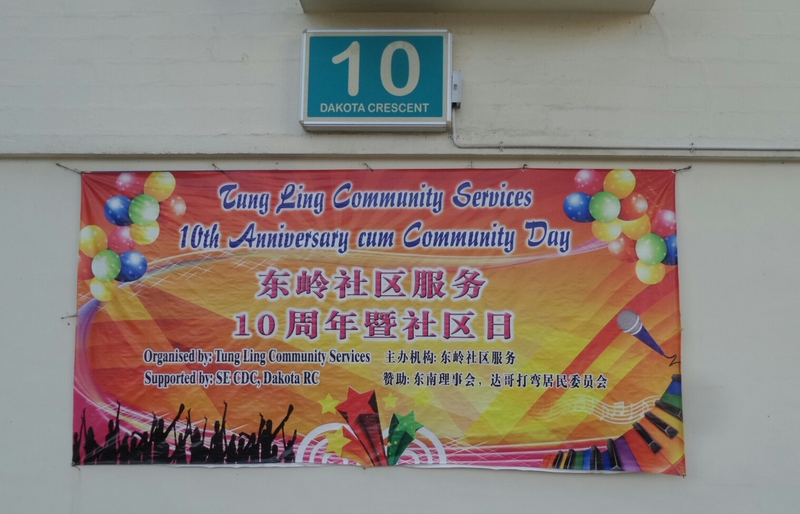 Elderly residents were noticed in the estate and the Tung Ling Community Services at Block 10, Dakota Crescent. 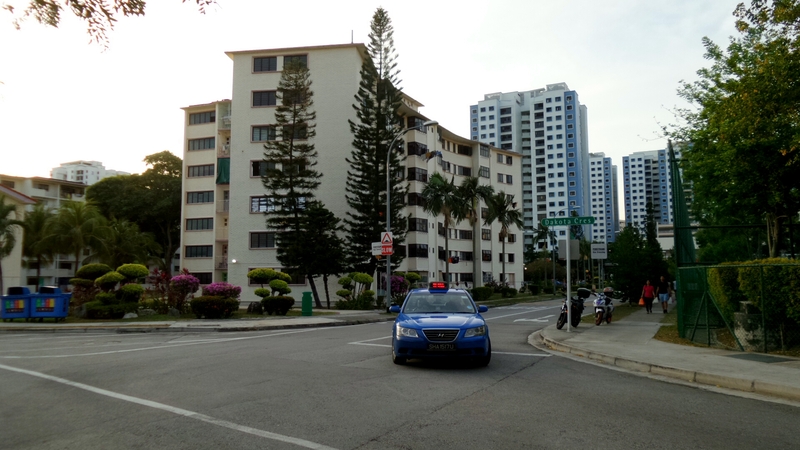 Interestingly, Dakota Crescent was the first estate to feature one-room flats. It was named after the Douglas DC-3 Dakota, a model of the planes that often landed at Kallang Airport, which was Singapore’s first civilian airport. 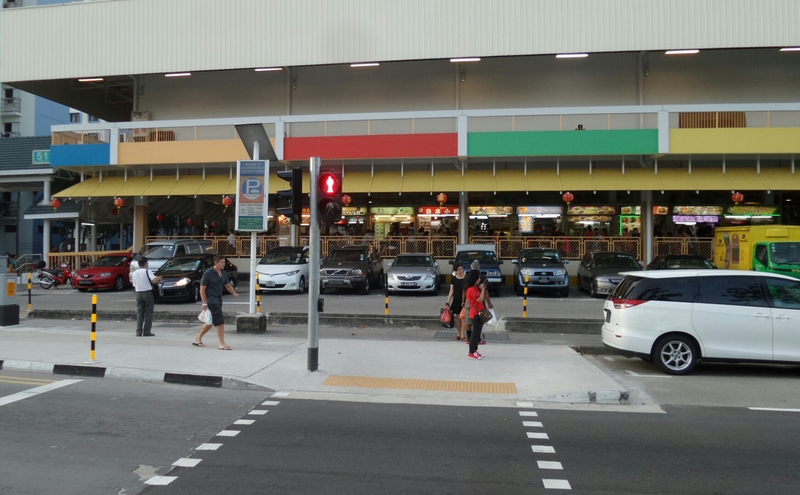 The former airport’s runway has been converted into Old Airport Road, which runs parallel to Dakota Crescent today. 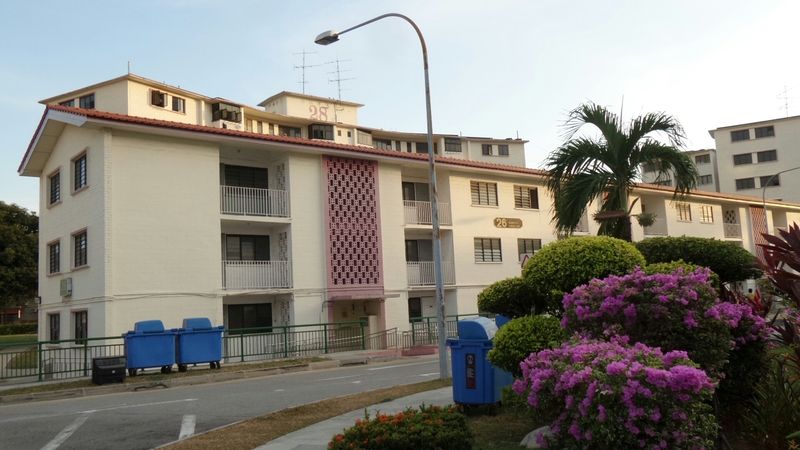 The Dakota Crescent flats are physical emblems of Singapore’s public housing history and aviation history. 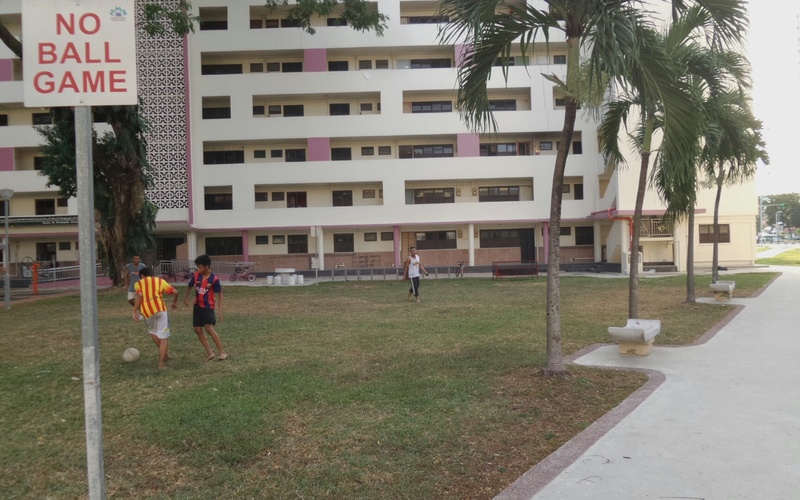 The flats also reflect Singapore’s early community-building efforts. The estate seems sleepy today, but there were over 60 shops, a market and schools in its heyday. These neighbourhood amenities supported an improved standard of living and the establishment of a residential community for the masses. A number of Dakota Crescent residents have lived there since 1959, forging strong friendships among neighbours over time. 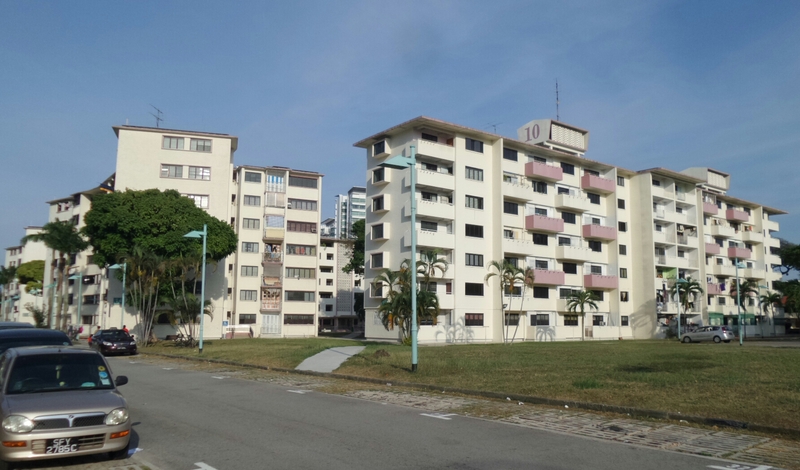 A significant number of the flats in Dakota Crescent were used to rehouse victims from the Bukit Ho Swee fire on 25 May, 1961. 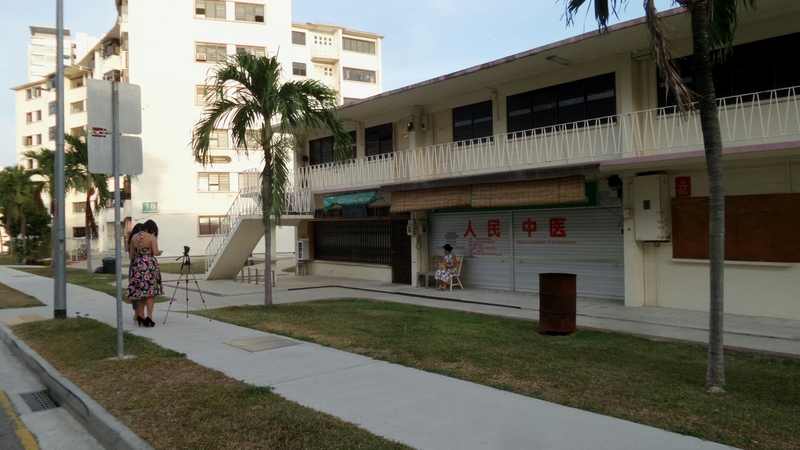 Today, these flats are also home to elderly people and lower-income families under the HDB public rental scheme, as part of broader government efforts to give all Singaporeans a home. Beyond providing shelter, the flats have given its aged residents a sense of place and identity. They have come to identify themselves as members of the Dakota Crescent estate and the larger Old Airport Road community. For those who have since moved out, the flats are physical landmarks providing a visual link to their past. Many lucky people who have the health and money who travel around the world to taste their best food and wine to “live to eat and drink”. 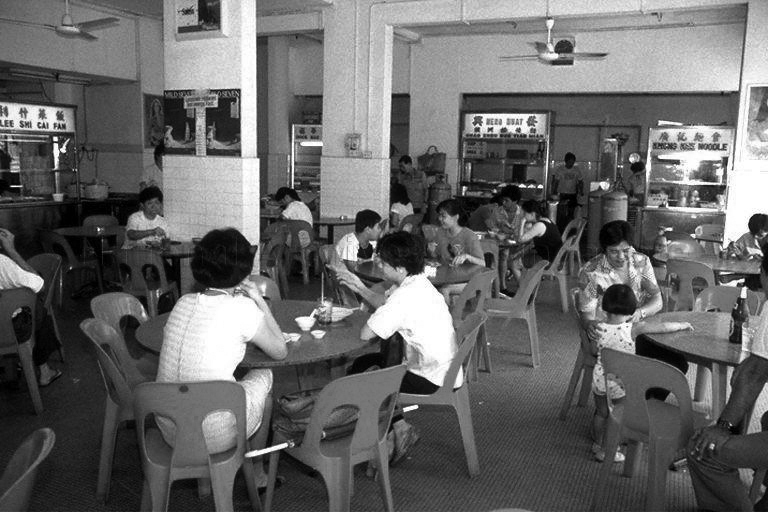 The Old Airport Road Food Centre was widely acclaimed in glossy travel magazines to review and recommend worldwide by foodie writers, TV production companies to feature on international TVs, bloggers and other media channel publications. There is the Chinese idiom, “飲水思源” (yin-shui-ssu-yüan), which means: when you drink water, think of its source, i.e. remember where and how the water came from. Don’t just be thankful for the water: be thankful for all the elements and processes (both past and present) that allowed you to enjoy that humble cup of water. 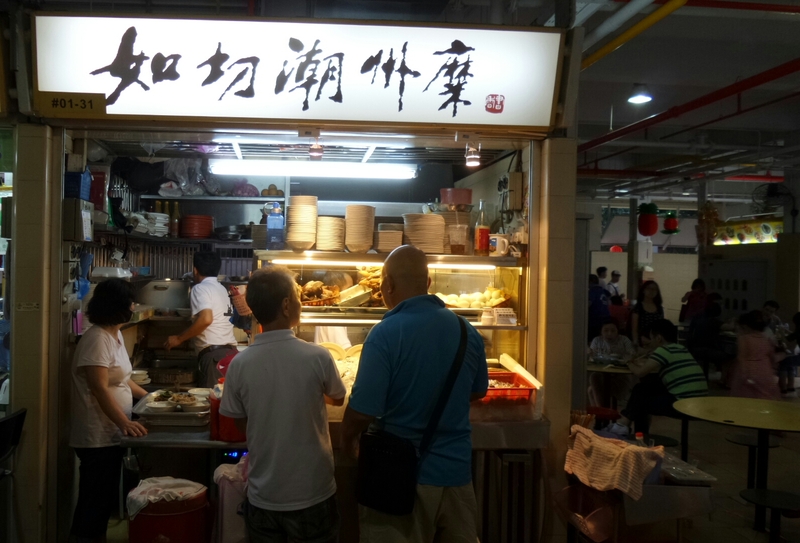 The successful hawker business in Singapore would remember the early days hawkers for decades in Singapore. 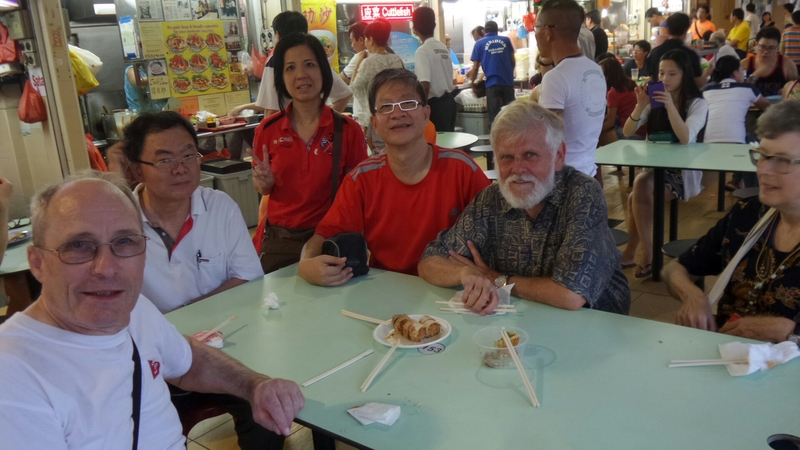 With the courtesy and acknowledgement of the National Archives of Singapore, National Library and other unidentified contributors of achived photos on the Internet to share on this blog. 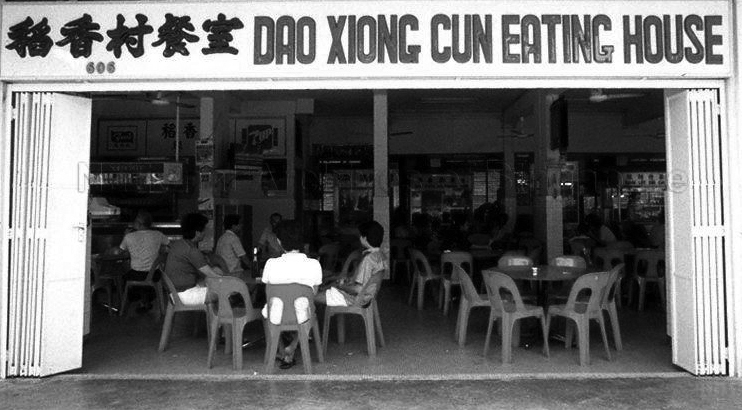 The above photos of the Dao Xiong Cun Eating House at Dakota Crescent in 1988. 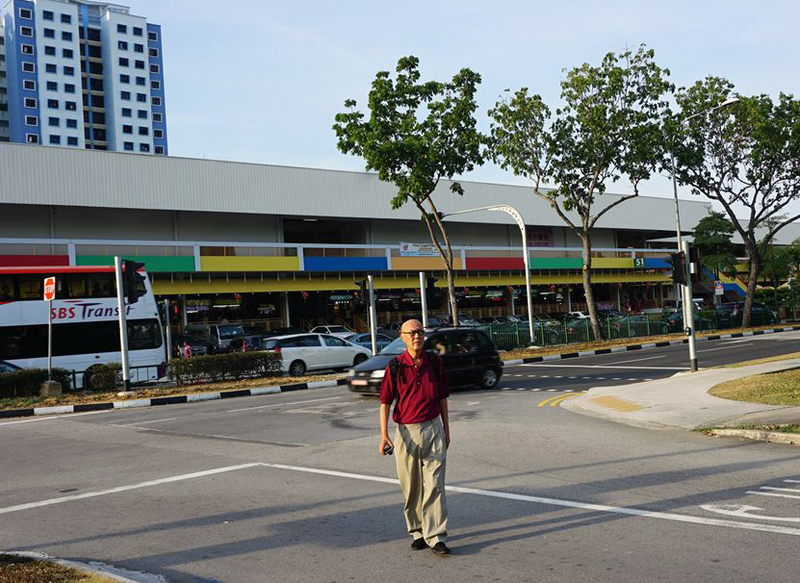 This is the “Old Kallang Airport Hawker Centre” which replaced the previous wet market in 1977. 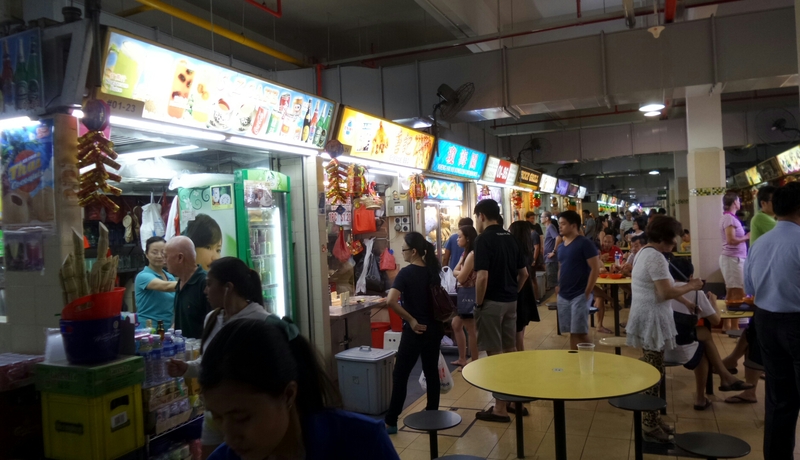 All stalls at this food centre were let out on rental basis and priority were given to residents of Old Kallang Airport Estate. 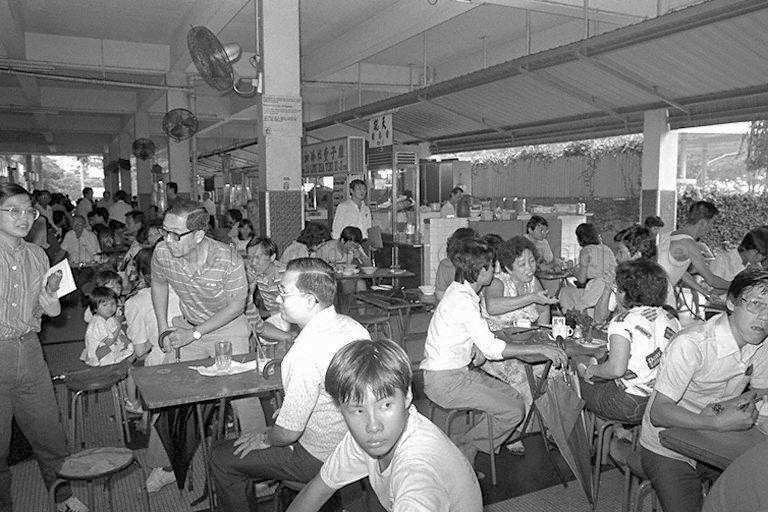 To keep up with the times, the Old Kallang Airport Market and Food Centre group on Facebook is available for helpful information and posted photos by contributors. 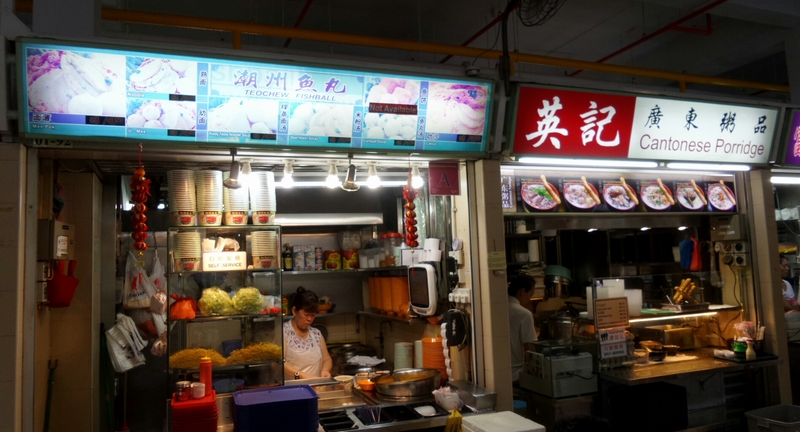 Most of the hawker stall names were from the first generation owners or inherited from their great grandparents or grandparents who were road-side hawkers decades ago. 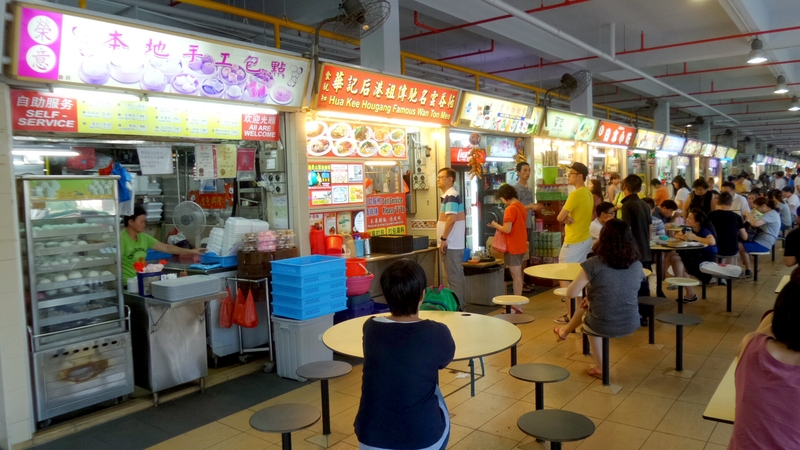 Hawker centres were built to house the old roadside hawkers and to provide a safer and more comfortable location for eating. 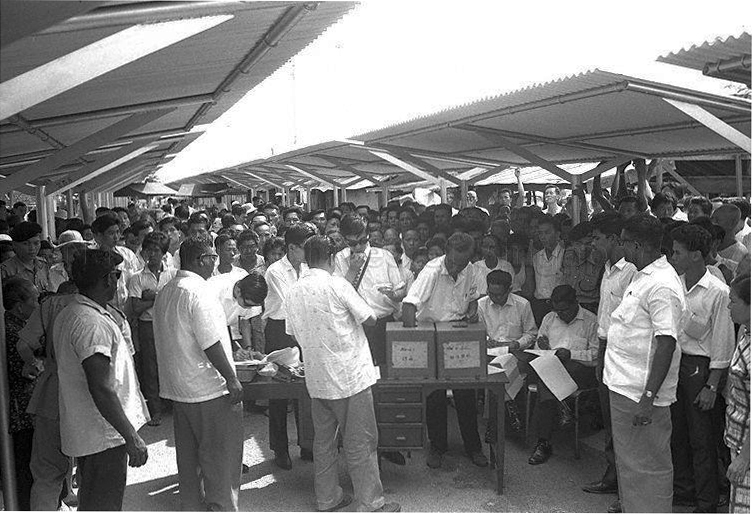 The licensed hawkers participated in the balloting of hawker stalls at Old Kallang Airport on 23 July, 1963. 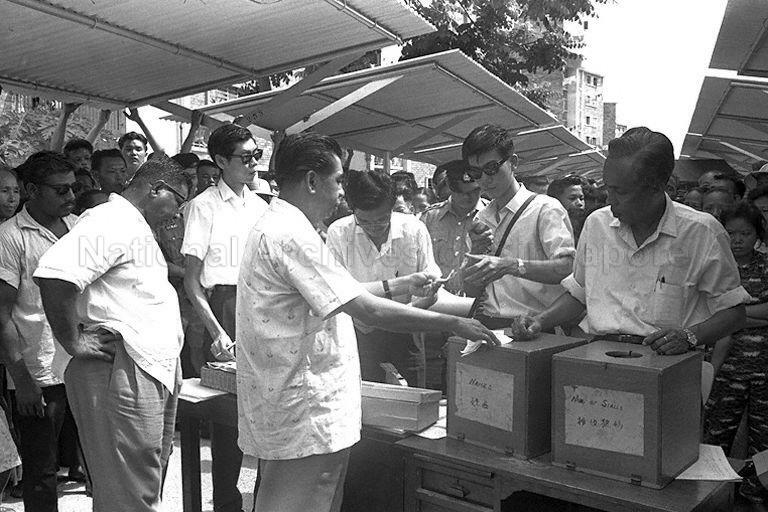 The pioneer generation hawkers would remember the hardship and tumultuous period in the early days of building our nation together with our founding fathers of Singapore50. 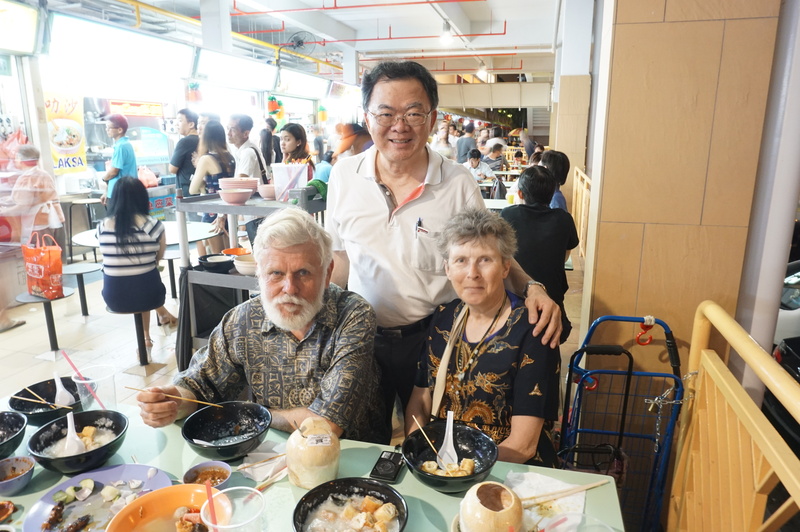 All the public markets and food centres in Singapore have been “remade” many times to cater food and drinks to the younger generations as the population grew and the buildings and other infrastructures to be improved for an increasing population to serve the future generations. 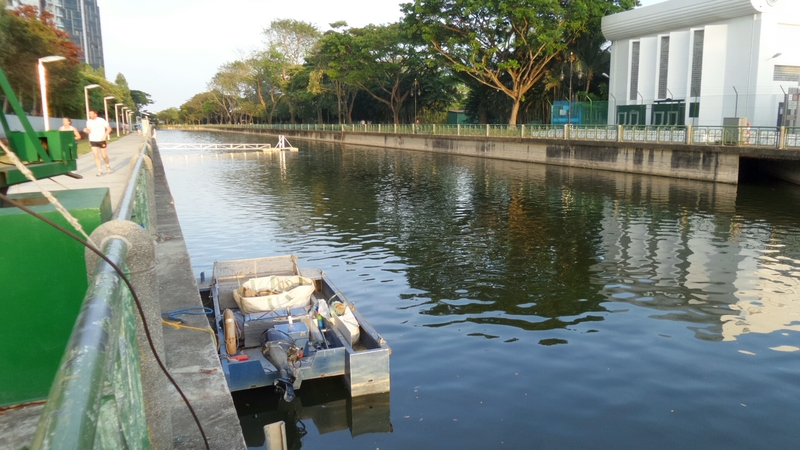 Singapore is forever in transit and every aspects of Singapore’s growth is never stagnant. All Singaporeans as a united people to live in peace, harmony and prosperity to progress together for a better future! Thank you for a lovely evening. Ann and I enjoyed it. 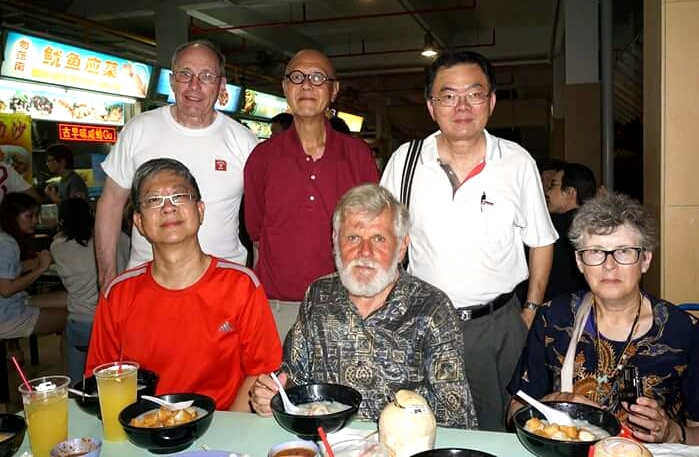 An evening of old friends, new friends joined together in a love of Singapore Old and Singapore New. 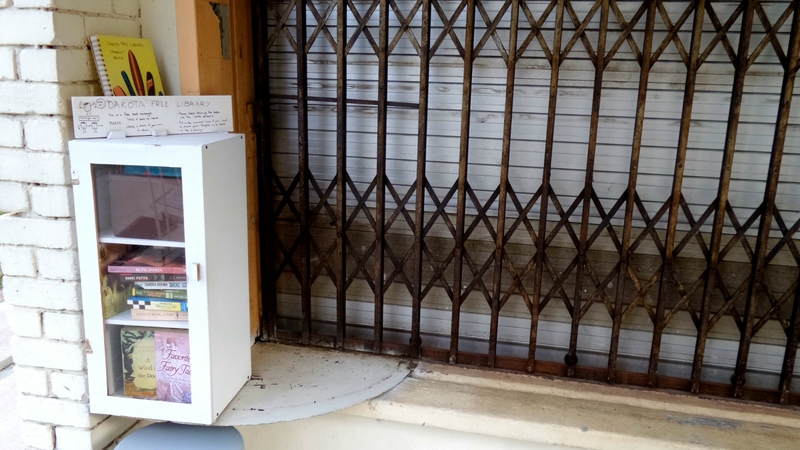 Thank you for an interesting blog James, it has broadened my appreciation of the area. 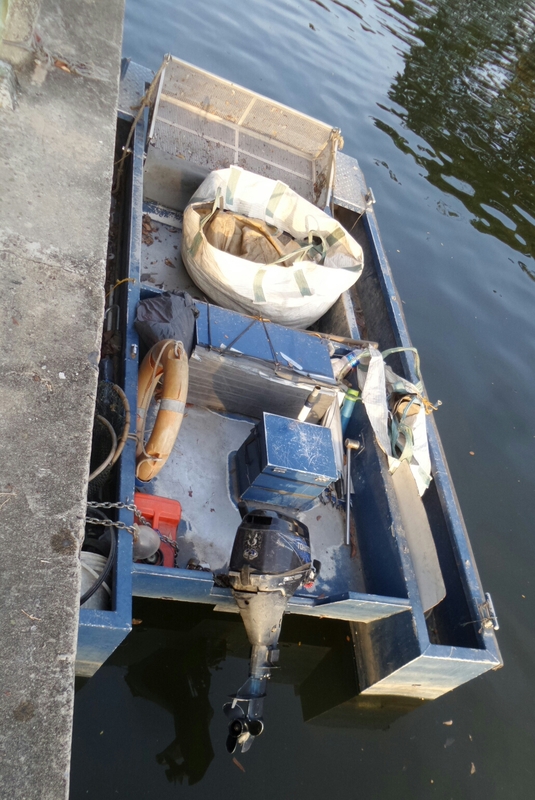 We had walked along the canal a few days before we met you and on my last morning in Singapore I walked along Geylang Road to the point where Gulliemard Road joins Geylang Road and then walked back along the canal as far as Dakota MRT station before returning to the hotel for a shower before we departed for the airport. 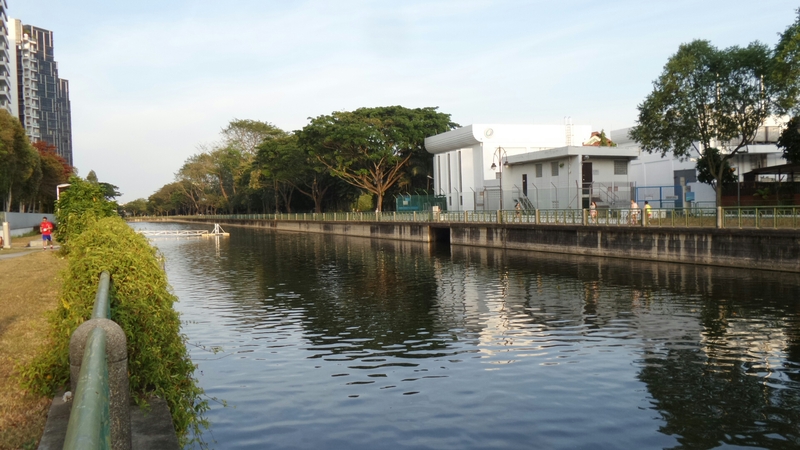 We had also walked along all the other sections towards the Marina Barrage earlier in our holiday. Hot work but well worth the energy expenditure, there is a lot of interesting wildlife and plantlife along the way.